In my family, our summer vacation is a genuine highlight. Over the years, I’ve learned that we can have fun pretty nearly anywhere as long as we plan. If being together is what counts, then spending some extra time planning is definitely worthwhile. If you follow these extra tips for your next family trip, you’ll be sure to spend the most time making the memories of a lifetime. If you’re traveling by car, make the most of your vehicle’s entertainment system. Stuff a bunch of DVDs into a flat carrier to keep the kids entertained for hours. If you’re flying, look for airlines that have television screens in the back of each seat. Many of today’s flights play children’s programming round the clock. If you’re traveling outside of North America, think about investing in a portable DVD player. Even if your hotel has one in each room, they may not be compatible with your DVDs. Flying is a hassle these days that is made even more complicated when you’re trying to move small children through the airport. Reduce your stress by choosing to stand in one less line. Most airlines provide online check in staring about 24 hours before your flight. Use this tool, and you’ll arrive at the airport with boarding passes already in hand. I also try to schedule my family’s flights as early in the day as possible – this reduces the chances of runway backups and cuts down on the traffic through security. Look for hotels that are kid friendly and priced right for your budget. For instance, scope out the pool to see if there is a slide and other fun kid-friendly entertainment. If you’re traveling with small children, look for a hotel with an age-appropriate wading pool. If you’re staying at a resort, make sure you know how far the rooms are from the pool or beach. There is nothing worse than having to trek a mile with a few little ones and all your beach attire! How to figure this out? Utilize your research skills before you choose your hotel by reading reviews and recommendations from other families. When traveling to Hawaii, I was able to read up on the top hotels in Honolulu before booking to ensure my family would have the best time possible. This is a great way to discover hidden gems in your destination city as well, such as unique restaurants and discounted family fun. Navigating an unfamiliar airport at your destination can be nightmarish. A few days before you leave home, visit the airport’s website to download a map you can use to find your way from the gate to the car rental counter, taxi stand or mass transit stop. If you’re departing from an unfamiliar airport as well, or even just need a quick refresher, make sure you know where your airlines counter is in relation to where you’ll be leaving your car. These few minutes of effort before leaving home can save a lot of aggravation and whining as well as aid in getting you on your way to your hotel as quickly as possible. Coming home is always sad, but it becomes downright hectic when you don’t plan for it. It’s easy to get caught up in the preparations to leave and even easier to forget that you actually will have to return. Make packing up for the return trip a snap by including plastic bags and a foldable bag or suitcase in your luggage. The plastic bags can hold dirty clothes, which will simply get dumped in a hamper or the washer when you get home. The foldable bag is the perfect place to store any souvenirs picked up along the way. Look into the best foldable bag for your needs, depending on space, price and style! So awhile back we were invited to check out the new Jellyfish exhibit at SeaLife @ AZ Mills in Tempe, AZ. It was really awesome! I myself or my family had never been there before so we got to experience the entire place. I highly recommend taking your children sometime! Here's more information SeaLife! My son totally getting flirted with by an older women. He was hanging on her every word as she told him about JellyFish. We even found Nemo & Dorrie! Ok! So here goes my children and I have been going through some tremendous changes for the past year or so. I was hoping that this year would be better but it sort of feels worse, maybe the added stress with the major changes, I don't know. They say its the darkest before the dawn, right? Well, here goes from the beginning... I was married to the love of my life (or so I thought) for 10 years, but towards the end of my 2nd pregnancy I found out he started drinking and he was staying out late, lying and so on. The it turned into him drinking and doing drugs, into a full blown addict. I was devastated! So, I moved out for awhile with my babies, after he drove drunk with our oldest in the car and wreck our brand new car at the time. I was beyond furious!!! Then of course he promises he'll get help and stop. I love him, so I want to believe him. We decided to move away from his old "homies" so we move to Show Low ( a smaller community up North) anyhow, things were better for awhile. Then it all began again, as he found sources up there. To make a long story short...he got 2 DUI's up there and had to serve 4 months in prison and 4 years probation. While he was in Prison the children & I moved back to Phoenix with my parents. And he with his. I fully intended on leaving him and filing for divorce but I did not. Things kind of got better, then not and so on. I went to Medical Assistant school and got a job doing that. Then about 8 months into working...you guessed it I got pregnant again! So I decided to give him another chance until I found out he was totally using again! So, I left again. He talked me into giving him until the baby was born which I did and about 5 months beyond but NOTHING changed he just got worse and worse. So, I actually filed for divorce in July and it was final in October of 2012. Before the divorce was final he even had an affair... I guess he just didn't care anymore. Oh...and on the day our divorce was to be final he then decides to go to rehab ( for the 1st time EVER) anyways a little too late! But of course like the damn fool that I am...he gets out of rehab and seems like a changed man...or so I thought, but not one week after rehab he's back at it AGAIN! I won't even mention the rest of what he did. He always fesses up later when sober and gets me sucked into his lies over and over. But as much as I love him and we have four beautiful children together, it is so difficult. Yet the cycle begins again as though nothing has changed because I am so stupid, that I believe him. And to top it off he hasn't had a job or supported us in over 4 years. I mean come on, really? So he still is the same, not a damn thing has changed. It has been a long road but the kids and I moved in with my brother away from him, while I go to school. All while trying to completely let him go forever!!! It's difficult man! It sure seems easy for him. NOW I am ready for the next chapter of my life. I am tired of waiting for things to change that are NEVER going to change! Time to find me! And work on me! Maybe it's time for the kids and I to go on a vacation somewhere away from here!!! This a heartbreaking story. Please pray for them and spread the word. They are cousins of my bestfriend growing up. Links are below. 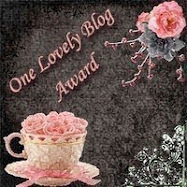 I have had a difficult time blogging over the last year. So much has changed and is continuing to change in my life. 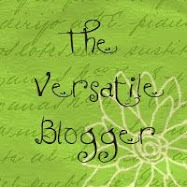 Bare with me as I revamp my blog and I am even thinking about changing the name. ANY SUGGESTIONS??? 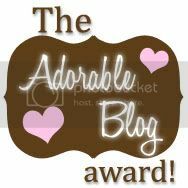 Anyhow I will still continue to do reviews and giveaways but I have decided to use this blog also in my healing process. I do not know where this will take me but we shall see. I want to become a new me! Or to find myself again! Chick-fil-A Leadercast is a one-day leadership event broadcast LIVE from Atlanta, GA to hundreds of locations around the world on May 10, 2013. Strengthen your leadership by simplifying your life. SIMPLY LEAD. Full. Our lives are full of things that we think will grow our businesses and increase our influence. We are busy - and that may, unknowingly, be holding us back. What if there was potential impact in simplifying our lives so our leadership could thrive? Leading in a complex world requires simplicity to cut through the clutter. Saying NO to what may seem good could help increase your capacity to live your life to the fullest. Join us at Chick-fil-A Leadercast as we learn to Simply Lead. - 1 Chick-fil-A Leadercast Exclusive Audio Download Card, which includes access to audio segments from past and present events! - 3 Chick-fil-A Digital offer cards for a free Chick-fil-A Sandwich Entrée of your choice. YOU CAN WIN BY SIMPLY post your results from the What’s Your Leadership Style Quiz in the comments section below! DON'T FORGET to leave an email address where you can be reached. THIS IS A QUICK GIVEAWAY ALL entrees must be entered by no later than April 30th at NOON AZ TIME! The Hobbit: An Unexpected Journey is now out on Blu-ray Combo Pack! J.R.R. Tolkien’s epic adventure follows the journey of Bilbo Baggins, who is swept into an amazing quest to reclaim the lost Dwarf Kingdom of Erebor from the fearsome dragon Smaug. Approached out of the blue by the wizard Gandalf the Grey, Bilbo finds himself joining a company of thirteen dwarves led by the legendary warrior, Thorin Oakenshield. Their journey will take them into the Wild; through treacherous lands swarming with Goblins and Orcs, deadly Wargs and Sorcerers. From Academy Award®-winning filmmaker Peter Jackson comes “The Hobbit: An Unexpected Journey,” the first of a trilogy of films adapting the enduringly popular masterpiece The Hobbit, by J.R.R. Tolkien. Are You 100% Hobbit Quiz! What has a tendency to be very brave, is around 4 ft. tall with sharp eyesight, little to no facial hair, and loves cake? If you thought we were talking about you, then you might be a Hobbit Indeed! Take the quiz to find out just how much of a Hobbit you are! THEN post your results in the comment section below this post. It's that simple and the winner will be selected randomly by April 5, 2013.